Plot: A prince from the African kingdom of Zamunda comes to Queens, New York to find a suitable bride that he can respect. The film is about a prince from the African kingdom of Zamunda comes to Queens, New York to find a suitable bride that he can respect. This movie has funny sences and eddie murphy loves to be in drag. This is one of my favorite movies of all time! Great story by Eddie Murphy! This movie maybe Hollywood's official introduction to actors playing multiple characters the way Murphy and Arsenio Hall did in this film. Coming To America is a movie that has so many memorable lines, top-tier actors like James Earl Jones, and John Amos, and also it's wrapped up in a love story. A prince traveling to Queens to find his princess. I don't know how long director John Landis filmography is, but after Thriller and Coming To America, he could've went into retirement. If you haven't seen this film, you've been living under a rock! The kind of by the numbers comedy that lives or dies by the likeability and comic touch of the star. Fortunately this was made when Murphy still had both. 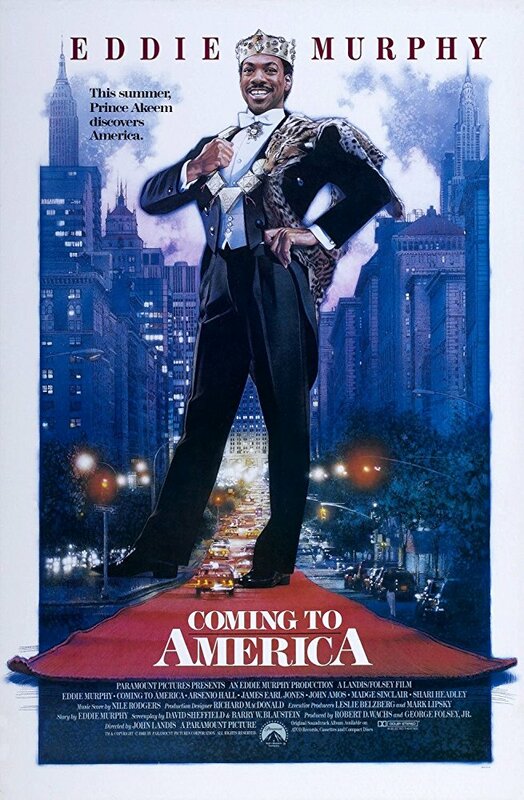 Coming To America, for me, is a bit of a disappointment. It's one of those films that comes along every now and then, which, while being by a director who's proved his credentials with films like Animal House and An American Werewolf In London, is a little less than great. Perhaps it's a little unfair of me to suggest that all the blame for the film being a bit 'so what' lies squarely at Landis's door. Although the movie seriously lacks his directorial flair, most of the blame should be put the way of the script. The jokes start in the vein of toilet humour and steadily get worse - more and more predictable, and less and less sophisticated. Not that the toilet humour is sophisticated. No posts have been made on this movie yet. Be the first to start talking about Coming to America!